1 reworked sound for one of the chemical factory sounds, courtesy of AlexeyP. New slow gravel sound for external camera. speed you are in, giving a feel for your sense of speed. parking brake, hazard light, wiper stick, light switch and blinker / indicator / turn signal. * More refined generic AI traffic car sounds. Less buzz noise and more tire sounds and quiet engine sounds. 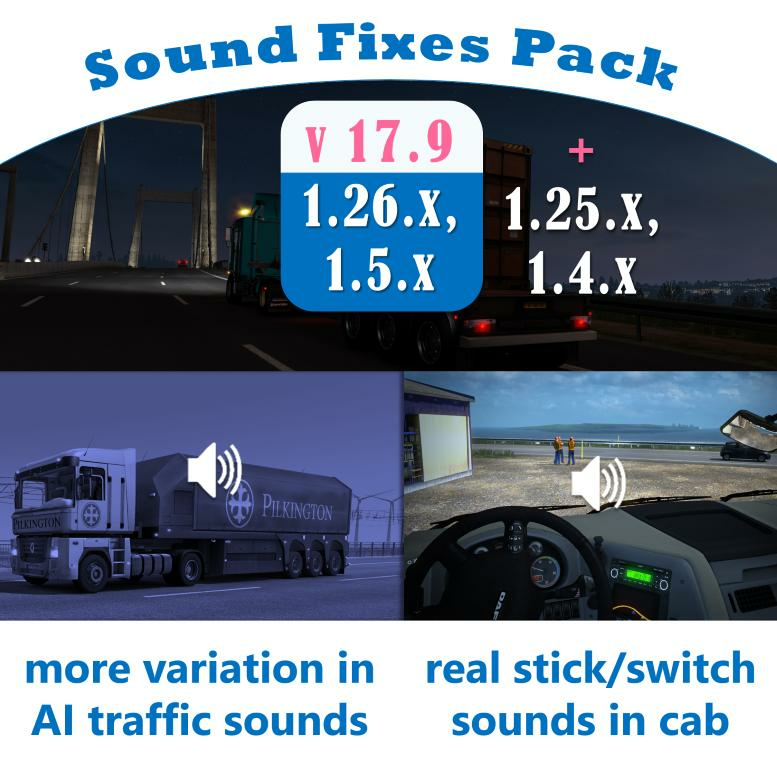 * AI traffic vehicles given new horn sounds. Depending on the patience of the driver, a short or long honk may be used. various AI Traffic mods and in stock trucks from the original game. 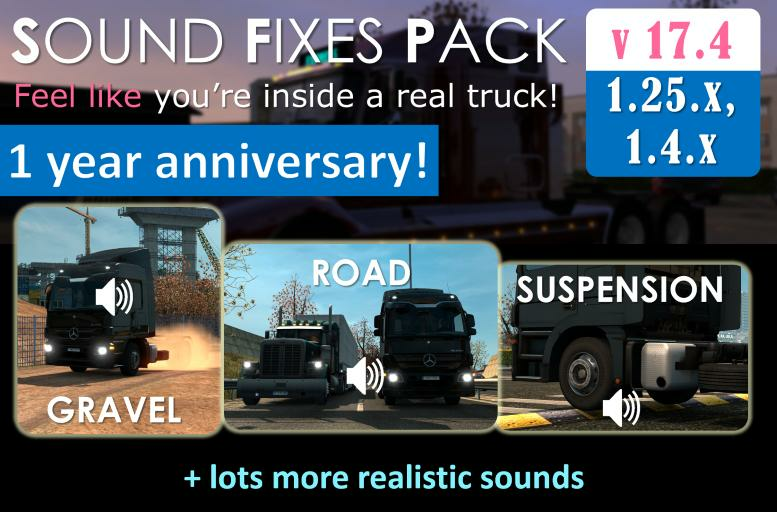 * ETS2 1.27.0 and ATS 1.6.0. No errors in game log. Must have high priority in Mod Manager. 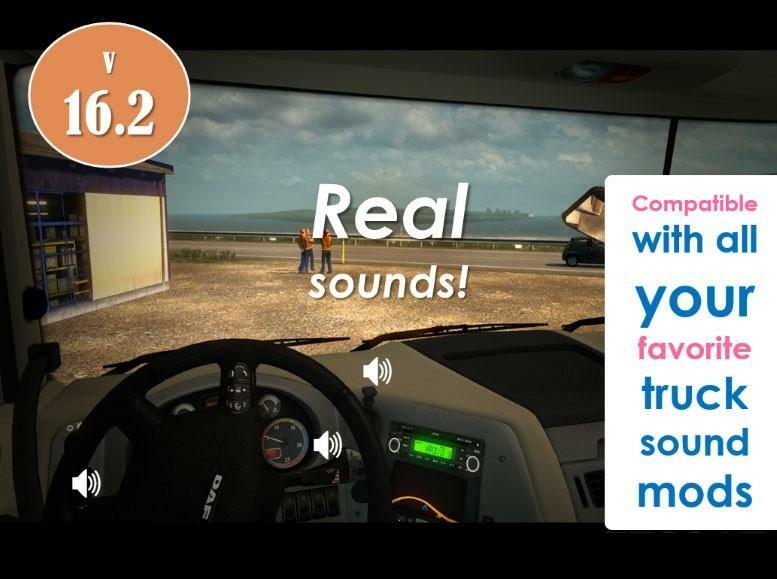 * Supports compatibility with Realistic Weather Sound 1.7.7 (provides realistic thunder + exterior rain sounds). Both mods can be enabled at the same time. Check the load order image included for more details. 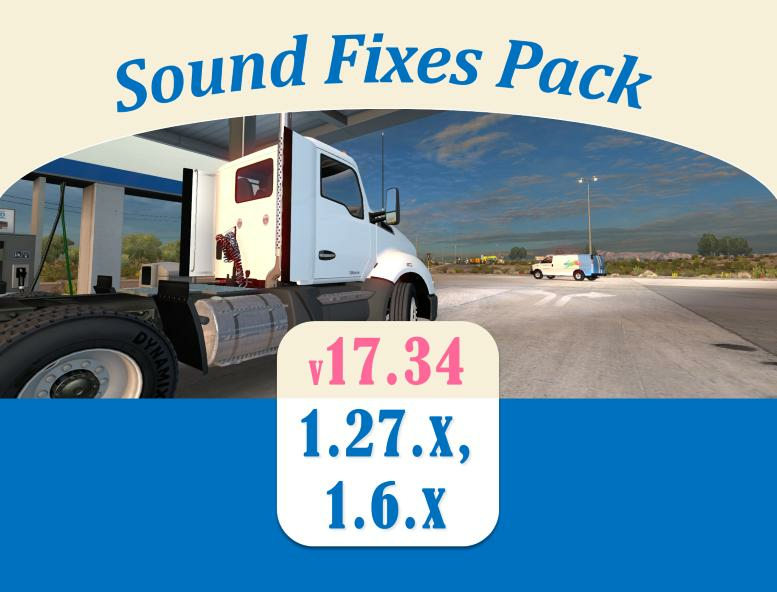 Options folder of Sound Fixes Pack for winter sounds.